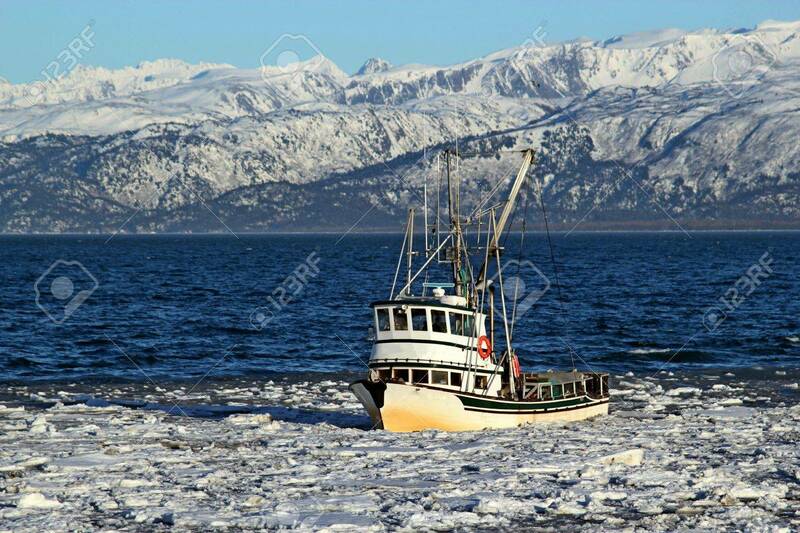 Classic Fishing Boat Traveling Through Ice In The Kachemak Bay.. Stock Photo, Picture And Royalty Free Image. Image 12538976. Stock Photo - Classic fishing boat traveling through ice in the Kachemak bay near Homer, Alaska with the Kenai mountains in the background on a sunny winter day. Classic fishing boat traveling through ice in the Kachemak bay near Homer, Alaska with the Kenai mountains in the background on a sunny winter day.